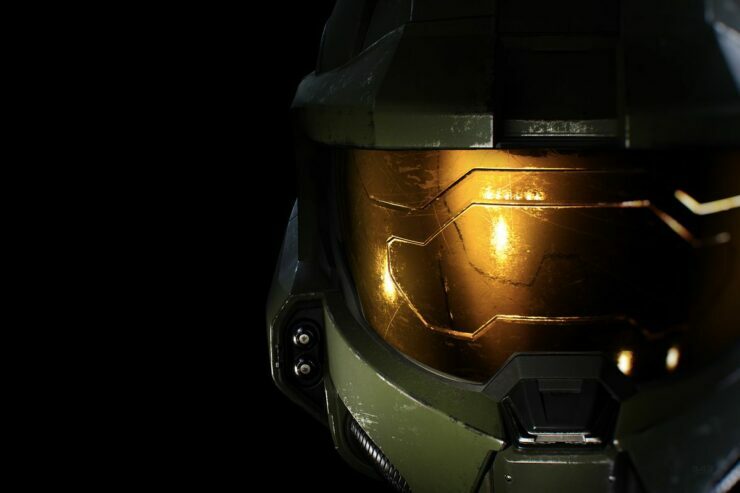 Valve co-owner Gabe Newell has credited Xbox head Phil Spencer and his team for bringing Halo MCC to PC. Last week, Microsoft and 343 Industries announced that the Halo Master Chief Collection is coming to both Windows 10 PC and Steam – quite the announcement for numerous PC players. 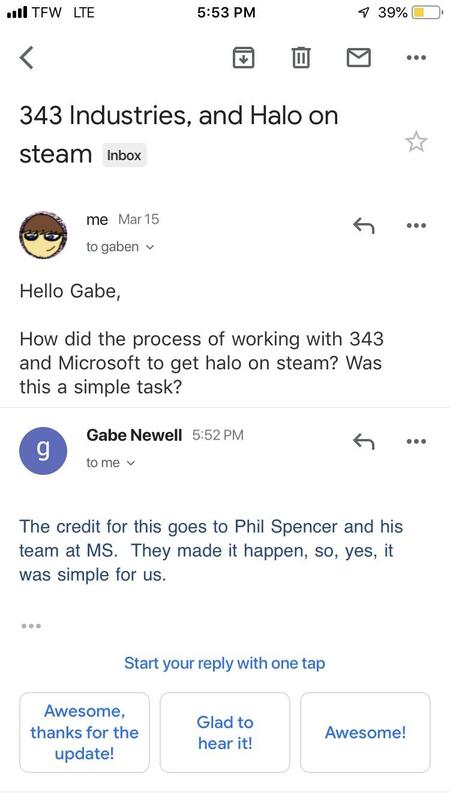 With the Halo Collection also arriving on Steam, one Halo fan decided to e-mail Newell about the process of getting the Collection on Steam and whether this was an easy task. According to Newell, who seems to have replied to this question, all the credit goes to Microsoft’s executive vice-president of Gaming, Phil Spencer, and his team. Earlier today we reported that the Master Chief Collection won’t support Xbox/PC crossplay and Microsoft’s Xbox Play Anywhere feature, but 343i hasn’t ruled out that crossplay with consoles will be added later. How do you feel about Halo coming to PC? Which Halo installment are you the most excited about? Hit the comments below.